Just a Couple of Rollicking Seattle Terrorists Called "Joe" and "Fred"
Yes, just two otherwise unaffiliated Seattle guys ready to set out on a murder spree. No speculation as to their religious affiliation. I guess we just have to guess. SEATTLE -- Two men have been arrested in a plot to attack a Seattle military recruiting station, reports the U.S. Justice Department and FBI. 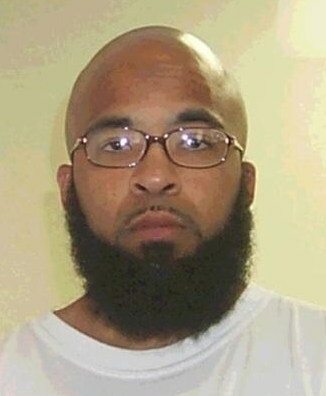 Abu Khalid Abdul-Latif, who also went by Joseph Anthony Davis, 33, of Seattle (pictured above), and Walli Mujahidh, also known as Frederick Domingue, Jr., 32, of Los Angeles, will face terrorism and firearms charges for the suspected plot. Officials said Abdul-Latif and Mujahidh bought machine guns, intending to shoot men and women enlisting in the armed forces at the Military Entrance Processing Station on East Marginal Way (MEPS). "Driven by a violent, extreme ideology, these two young Americans are charged with plotting to murder men and women who were enlisting in the Armed Forces to serve and protect our country," said Todd Hinnen, Acting Assistant Attorney General for National Security. I especially appreciate Todd Hinnen's masterful "Driven by a violent, extreme ideology." Really, Todd? Such as? Any speculation as to exactly which "violent, extreme ideology" that might be? No clue? No hint. C'mon, Todd. Take a guess. Take a wild guess. You don't want to be an "acting assistant" for your whole career, do you? Episcoslamic, that's what I think the extreme idiotology is. Turn, in your hymenal, to page 666 and sing along with me, Gerard! Allah hates you this I know. For the Koran tells me so. Jews and Christians we will bomb. They are weak and we are strong. Yes, Allah hates you. Yes, Allah hates you. Yes, Allah hates you. The Koran tells me so. Allah hates you, you will die. When the plane blows up sky high. Eat falafel, chop off head. Pray 5 times and go to bed. That, Jewel, was very un-PC. Just because Geert Wilders escaped such excoriation does not absolve you of condign shunning. May your back suffer much pain from toting sticky buns from dawn to sundown as penance for such utterances. Suffer such pains until you smack the next passing heathen with a rack of pork ribs. Only then will your soul feel the succor of the one true God. If you look hard enough for something, you'll find it. Whether it's there or not. If these types of people were not so incredibly stupid there would be a great deal more success in the terror business. On the other hand, if they were not so stupid then they would not be Islamic nutters. These are the sort of individuals that give the FIB and Fatherland Security something they can handle. I'm sure Todd is very very happy to be an Acting Assistant AG in the present economy and would not wish to do ANYTHING to jeopardize that position. Hey now, at least we know it's not the religion of peace. If, when, an intellect such as Buckley, substandard to none, can be so deceiving, whenst spread by almost American Men like Mark Steyn, what is winning? And where doest Buckley rest? Not here my friend, not here. 1980 and the election of R.R., all but expextaded, were one able to think and demand like a Buckley/Reagan. Well, Lance, we now know where 'Joe' got his name from: Joseph Smith. The Mormon prophet. So... No one's picked up on the scare at JFK airport yesterday, huh? Sudden Jihad Syndrome? One thing's for sure -- that beard and haircut make a very personal fascism statement. Oh, we had a father/sons team of white converts busted near Raleigh a couple of years back. The blue-eyed Boyds(Google Daniel Boyd WRAL). Any story of a blue-eye convert is bad enough, but when they are busted for "soliciting money last year to fund others’ travel overseas to take part in 'violent jihad,' among other things, it takes on a new level of seriousness. It is stunning to me how angry and defiant muslims always appear to be. Just look at their faces! They are mad at the world...mad. Mad at other muslims, mad at non-muslims, mad at dogs, mad at women, mad at other-wordly creatures not yet discovered, they are just mad, just mad as hell at everything. What is wrong with these people? I know it is a rhetorical question but why would anyone expect the violence to end if, Lord help us all, they end up as the world's dominant religion? It will only get worse. The religion of peace? Really? Really? I'd love to play a friendly game of Jarts with them. These fellas are mighty active of late. Everything from teen mobs busting up restaurants and stores to brain damaged goons planning to kill military. And playing chicken on the tarmac. I've said it before and will say it again: Time, and past time, to generate a sudden need for Allah to provide approximately 36 billion virgins. Or maybe for some extensive construction work, deepening the river Phlegethon. I personally think the latter, if either. To quote myself, possibly a paraphrase: "And then the seemingly endless patience of the nations of the free West of the world was exhausted, and the steel sharks that had been swimming, hidden in the lightless deeps, for two score years and more, abandoned their stealth and unleashed the fury of the stars, and the mushrooms of agony and vengeance opened upon the land of the Enemy, and the war that had gone on for fourteen centuries was ended in thunder and hellfire, and peace was upon the Earth - for a time." Progressive questions on trx suspension trainer clarified and why you have got to view each and every term within this documentation.